If you’re the owner of a senior dog who has a tough time getting comfortable, you’ll want to check out one of these top 5 best dog beds for older dogs! Choosing the best dog beds for older dogs is tough! On the one hand, you need something supportive for their aging bones. On the other hand, you don’t want something too firm because it will be uncomfortable on their aching joints! Fortunately, there are a variety of dog beds explicitly made to balance support and comfort for senior pups! Read on for our top five favorites! BarksBar Gray Orthopedic Dog Bed Good price, removable cover, 4 inches of memory foam Padding may not hold up. Take a peek at a quick overview of the beds in the table above, then read on for more details about each one. Our first product, the K&H Deluxe Round Ortho Bolster, is a high-quality dog bed that will make your dog’s naps a stress-relieve dream. Stuffed with 3 inches of medical grade orthopedic foam to ensure your older dog has peak comfort. The removable cover makes washing this bed hassle-free and straightforward. Has a manageable price doesn’t cause a massive dent in your bank account. It also comes in two different colors: green and eggplant. This dog bed comes in four different sizes: small, medium, large, and extra large. Although the K&H Deluxe Round Othro Bolster has a lot of great features, I am a bit concerned about the fact that a lot of customers say it doesn’t have enough padding. While this concern is probably overblown, as many other customers were quite happy with their purchase, my dog has arthritis and needs as much support as he can get. Maybe I am being a bit picky, but if your dog has major arthritis or other joint issues, keep reading to find a better fit. On the other hand, if your older dog is still in great shape, this bed may be perfect. The Brindle Memory Foam Mattress is a relatively standard dog bed that lacks uniqueness, but this doesn’t mean it isn’t worthy of your consideration. In fact, it’s quite the opposite. The bed has 4 inches of foam: two inches of orthopedic memory foam and two inches of support foam. These foams combined offer achy joints support and the comfort that your dog always has dreamed of experiencing. This dog bed’s waterproof, so, you don’t have to hesitate about bringing it outside during those beautiful fall days. The bed comes with a removable, soft cover that’s easy to wash.
It’s hypoallergenic, which means dust mites and fleas shouldn’t be a problem. Some customers complained about the bed’s durability: complaints about the cover becoming ripped were common. The Brindle Memory Foam Mattress comes in three sizes: small, medium, and large. Overall, this product has all the features I’m looking for in dog bed. However, the concerns about its durability give me pause. I’m worried my Pitbull would be able to rip this bed apart within a couple of minutes. For this reason, I usually try to find the best dog beds for chewers. Due to this, the Brindle Memory Foam Mattress won’t be my first choice, but it’s one I will still heavily consider. But, if you have a smaller dog that isn’t prone to chewing things apart, this bed should be on the top of your list. In fact, I might buy this bed for my non-destructive Chihuahua. The third product on our list, the KOPEKS Orthopedic Memory Foam Dog Bed , would be an incredible addition to any dog’s home. 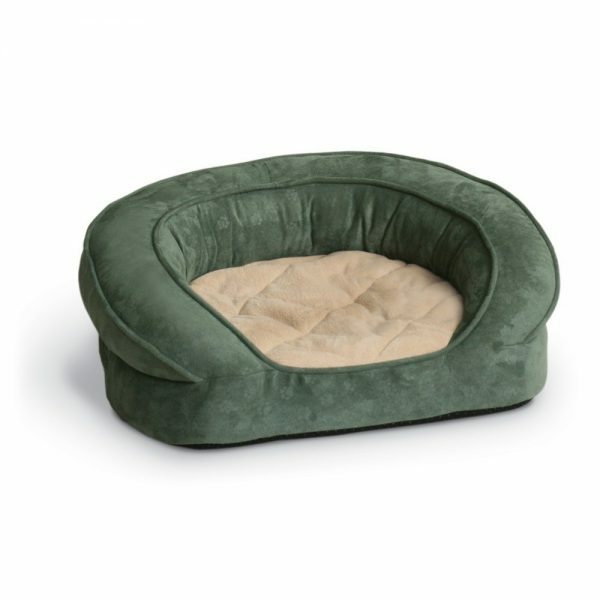 This dog bed has two different liners: a waterproof liner and the outer microsuede cover. Both are machine wash ready. This dog bed is filled with orthopedic memory foam that will help your dog’s achy joints. There’s a built-in headrest that gives your dog somewhere to rest their head. Comes in two different colors: chocolate brown and grey. The cover has an anti-slip bottom to ensure the bed doesn’t slip when your dog moves around on it. The foam can take a few days to fluff up. The KOPEKS Orthopedic Memory Foam Dog Bead comes in three different sizes: small, large, and jumbo XL. All in all, I can wait a few days for the foam to fluff up with the incredible features this dog bed offers. In fact, this product easily moves to the top of my list. The Milliard Premium Orthopedic Memory Foam Dog Bed is an affordable option for any dog owner looking to provide their dog with a new comfortable place to lie down. The price is incredibly affordable. Has 4 inches of foam, 2 inches of foam base on the bottom and 2 inches of memory on the top, to ensure peak comfort for your older dog. Certified with CertiPUR-US that guarantees safe and reliable materials were used in creating this bed. Non-slip bottom to make sure your dog doesn’t slide across the floor while they’re playing with a toy on this dog bed. The removable cover is machine wash ready just in case any bathroom accidents happen. Some customers complained about the cover becoming torn. The Millard Premium Orthopedic Memory Foam Dog Bed comes in four different sizes: small, medium, large, and X large. Regardless of the cost, my dog’s tendency to try and rip apart any new item I buy makes this dog bed’s durability concerns a little more prevalent. With this in mind, I’d probably pass on purchasing this dog bed. But for an owner with a smaller dog or a better mannered dog, this dog bed is amazing choice. I mean, it has a lot of people who have praised it’s quality and stand by their decision to buy it. 20% off our entire website! Use promo code Barks20 at checkout. • • Our orthopedic dog bed comes ensures comfort for every dog, the orthopedic foam and cotton filled bolsters ensure comfort for older and arthritic dogs as well as any pet who deserves a comfortable place to sleep. • • Check out our website for 20% off all beds, pet seat covers, dog doors, feeding mats and more! The last product on our list is the BarksBar Gray Orthopedic Dog Bed , which will provide any dog will an optimal sleeping experience that they’ll never forget. 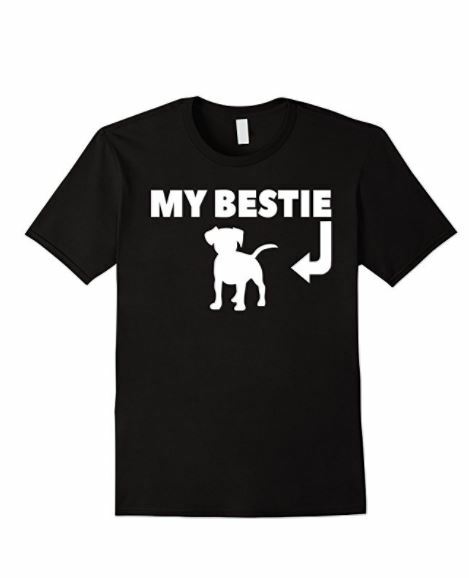 The price is very affordable and should be in the price range of most dog owners. Incredibly soft, removable cover for adding additional comfort to your dog’s naps. 4 inches of orthopedic memory foam that provides both comfort and joint support. Some customers complained about the padding being subpar. The BarksBar Gray Orthopedic Dog Bed comes in two sizes: medium and large. Although I love the 360-degree headrest, I am concerned about the potential padding issues. As I mentioned above, my dog’s arthritis is rather bad. It’s a shame too because the features are incredible and it’s reasonably priced. If your dog has mild arthritis or is in great health, this would be a fantastic choice. Overall, the KOPEKS Orthopedic Memory Foam Dog Bed is the product on this list that I’d put above all the rest. It has everything you could ask for in a dog bed, and it won’t stretch your bank account too thin. In other words, it has both quality and affordability on its side. Honestly, the combination of those two qualities is incredibly hard to beat. In fact, I’m going to go onto Amazon and buy one myself right now. 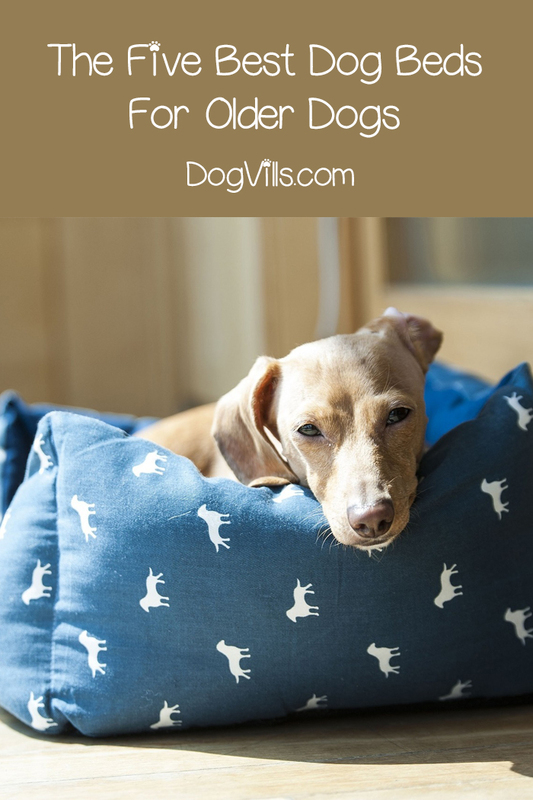 What are your thoughts on these top 5 best dog beds for older dogs? Do you have any of them? Do you have another favorite? Share below!